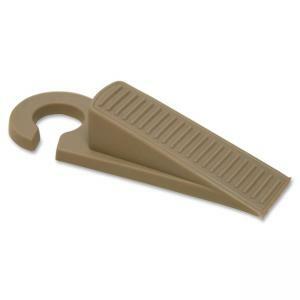 Skid-free door stopper offers the added feature of a hook on one end for hanging on a knob or elsewhere when not in use. You'll know just where to find it when you need to prop a door to speed up cleaning jobs or loading. The incline on the door stop's topside is ridged to catch doors with different clearances.